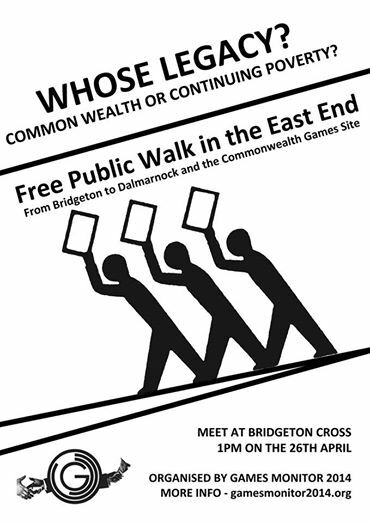 Glasgow Games Monitor are hosting a free public walk around the Games Village and in the wider area of the Dalmarnock, Parkhead and Bridgeton. On Saturday April 26th, meeting at Bridgeton Cross at 1pm. There are currently frantic attempts by local government and its partners, spurred on by the Games, to create a “new east end”. 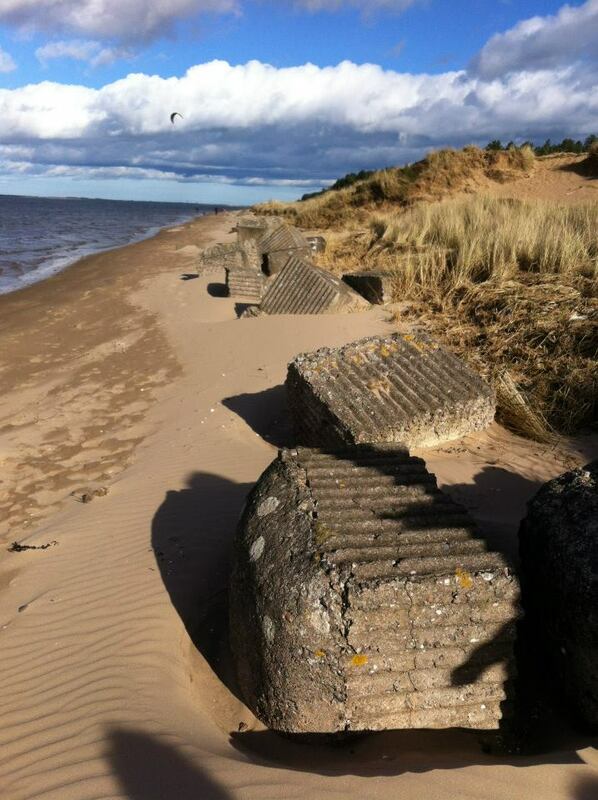 This walk, or “territorial enquiry” will be a critical response to those efforts. We will be going to key sites of transformation in and around Bridgeton, Dalmarnock and Parkhead to discuss and reflect in-situ, what these changes mean in the everyday, and in a wider political context for the city and for democracy. JOIN US! Campaign to Save the Kinning Park Complex (Artist Studio and Community Centre Complex on the Sth Side). KPC Important update. Please read and Act. On 15 April, without any prior notice or discussion, City Property on behalf of Glasgow City Council sent us a Notice of Removal telling us to be out of the building by 27 May 2013. The first thing to say is – Don’t panic! We won’t be leaving. But please do take action. For the last 15 months we have tried to talk to the Council / City Property, funders, other agencies and councillors about how we all might work together to secure the long term future of Kinning Park Complex as a community facility. We are a strong community making good use of the building and intend to do so for the long term. We have written to City Property asking for urgent clarification of their intentions and asked our local political representatives for an urgent meeting. We will update on progress with that next week. The number of building users has grown again enormously in the past 2 years and that is fabulous. We need now to ask you all to make your voice heard in support of KPC. This City Property letter reminds us that despite the huge efforts made by many in the community to keep this building open and in daily use there is still a long way to go to secure our long-term future and fund the major repairs needed. The main thing to remember is that it is business as usual at KPC. Future bookings are secure. Please continue to make bookings and conduct all business as usual. But please act to support us – MAKE YOUR VOICE HEARD. Contact local councillors, MP, MSP and MEP to ask them to support our call for City Property to withdraw this Notice and meet with us to discuss the situation (see contact list at end of this message). Contact City Property directly. Ask them to withdraw the Notice. Feel free to raise any questions or thoughts with them – eg. you might also want to ask them why, while they claim to be the new landlord, they are not prepared to spend a penny on the essential repair work? Sign-up as a supporter of KPC so that we can provide more evidence of the numbers of people who use the building. Please also encourage all of the people who attend your classes or events and all other building users and friends to sign-up as well. Below is our new Supporter of KPC sign-up form. Please add your contact details and return it to us. Kinning Park Complex is an independent community centre, used for dance classes, theatre projects, benefits advice, art and music events, kids’ activities and much more. 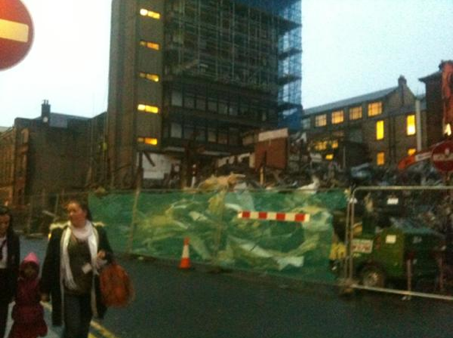 We would like to be able to keep you up to date with what’s happening around the building. We’d also like to be able to include your name in a list of KPC Supporters. Please sign up below. We need all the details if possible. Your name will be added to our Supporters page – no other info is shared. 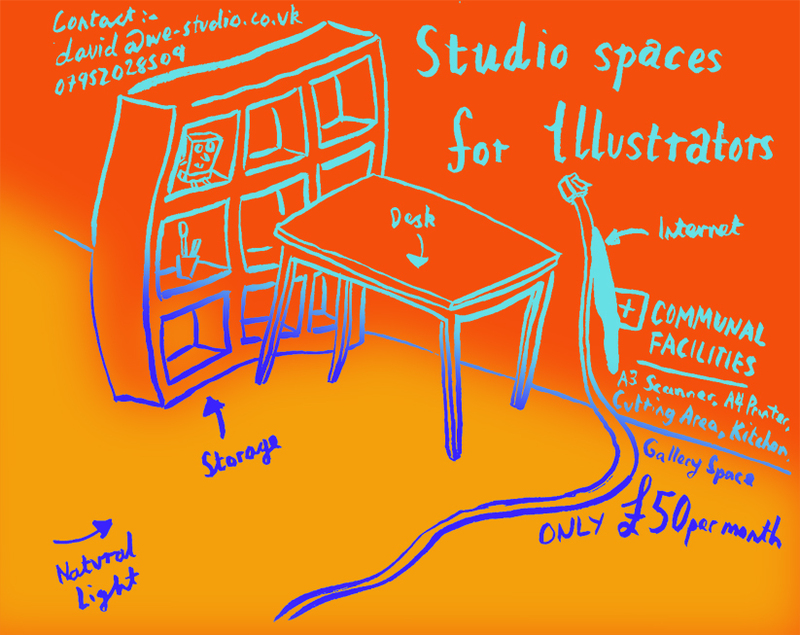 Studio spaces in Glasgow’s East End above Green City Worker’s Co-op only £50 per month. Rent includes internet and access to communal facilities – Printer, A3 Scanner, Cutting Area, Storage, Kitchen, Gallery/ Project Space. A dent to the plurality of Scotland’s media landscape – Variant Magazine suspends publication. 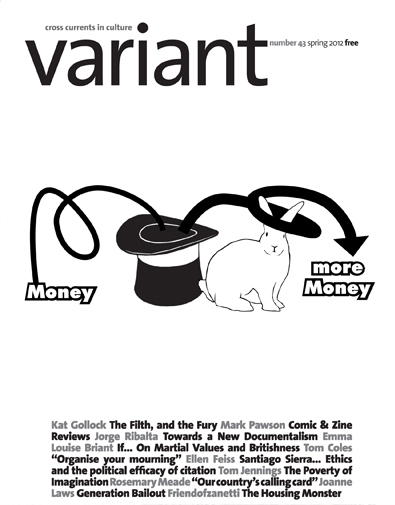 It is unfortunate that we have to inform you that Variant has been ‘unsuccessful’ in our funding application to Creative Scotland.As a result Variant for the first time since 1996, when Variant was relaunched as a free newsprint and online publication, is in the position of having to suspend publication. We will continue to work towards Variant resuming publication as soon as possible, at which point we would hope to restart our current subscription commitments. and we will be screening a retrospective of the best films shown in our programme throughout the years. This is a glimpse of what happened at the last edition of Document, giving you an idea of what to expect this October. 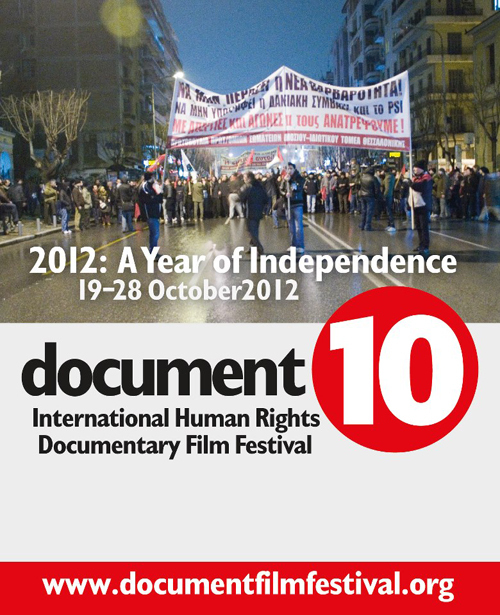 As part of the Document 10 Human Rights Film Festival, Radiius will be showcasing a selection of works taken from the current and previous printed editions of their Zine. The exhibition brings together artists who through the use of painting, collage and illustration explore the themes of divide and inequality. 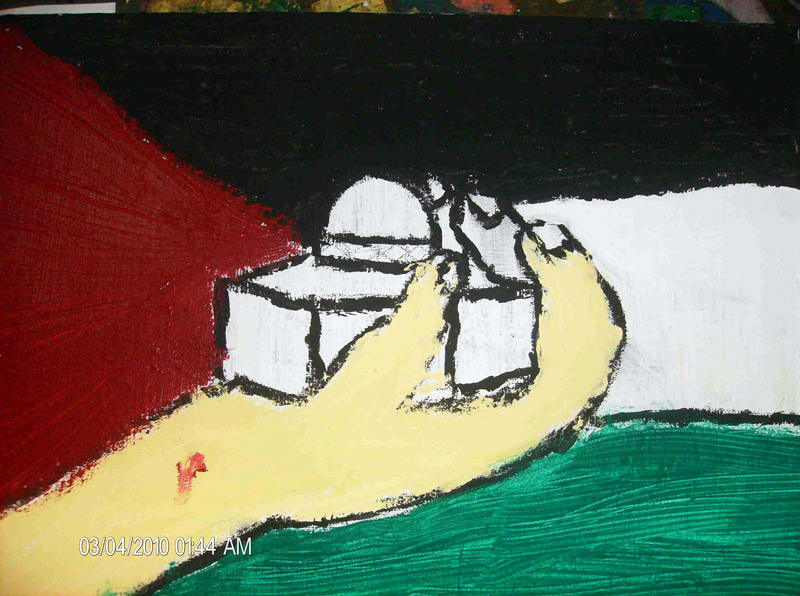 The exhibition will run from Saturday 20 – Sunday 28 October 2012, 12pm. Exhibition will held at the Glasgow CCA, Saramago Terrace Café Bar. A really interesting article on the AN Blog by Pippa Koserek exploring the relationship between recent occupations in art schools across the UK and various alternative art school models going back to the sixties. 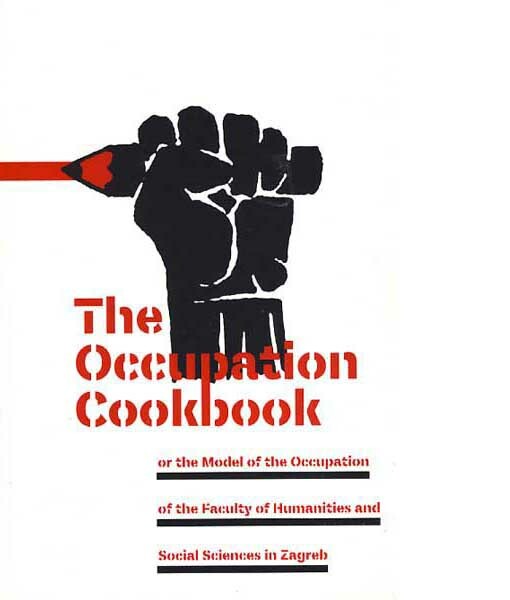 Got me thinking about a great book about the use of plenary discussions during an occupation of the Faculty of Humanities and Social Sciences (Filozofski fakultet) at the University of Zagreb. Another relevent resource is the Carrot Workers Collective’s website. They recently organised an event at the now homeless Bank of Ideas. Includes a free screening of How to Start a Revolution and Discussion with the Director. Drawing and talking for all ages and abilities. 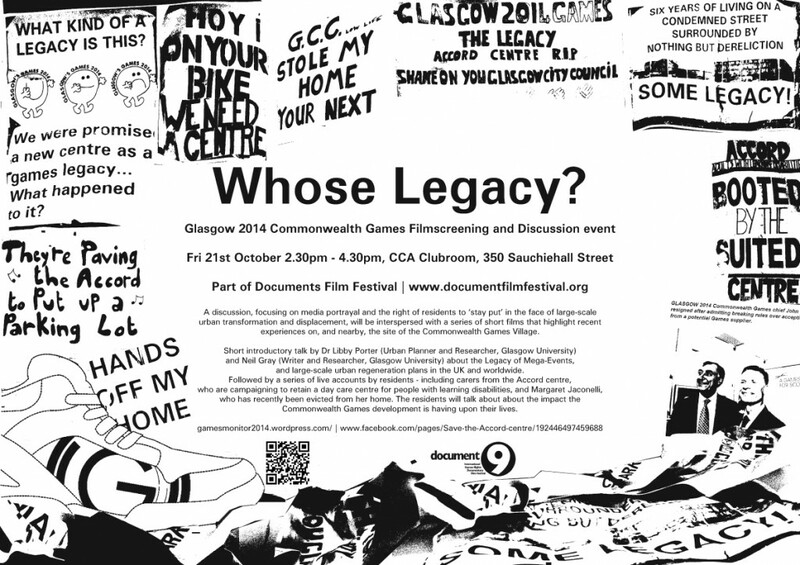 The theme is Glasgow – what its like now, how it used to be and what’s going to happen to it. You might want to draw buildings, people, streets, parks, parties, weather, memories, stories, anything and everything. Bring pictures, photos, objects, ideas or anything else that you think should be recorded in drawings about Glasgow. Any questions, speak to Bob, Village Square. The academic design realm separates “designer” work from cultural manifestations that are just as much of merit, or it tries to recategorize former historical works as “graphic design,” which is wrongful in approach as well as being a tautological deceit. We need to give credit where credit is due, period. Most of the “big-name” designers/illustrators I’ve worked for in my lifetime have never had one minute of university design training; they are the first to recognize that “design” as we know it in terms of its underlying crafts and trades has very proletarian and commercial roots. The Students for a Democratic Society Conference has been organised to bring students from across Scotland together who want to transform student politics and our student unions. The conference aims to come to an agreed set of policies for education that student activists across Scotland can support and participate in. Students from Aberdeen, Glasgow, Paisley, Dundee and Edinburgh will be joining the conference, we would encourage you to put forward suggestions here and join the conference on the 21st. 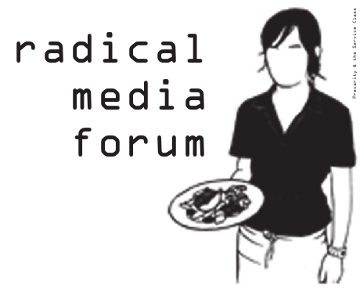 The Radical Media Forum is a regular meeting for left-aligned politically-engaged media practitioners, activists and researchers. Participants include those working with: film/video and television, online media and Indymedia, radio, books and print publication, community and media events, archives, and media research. 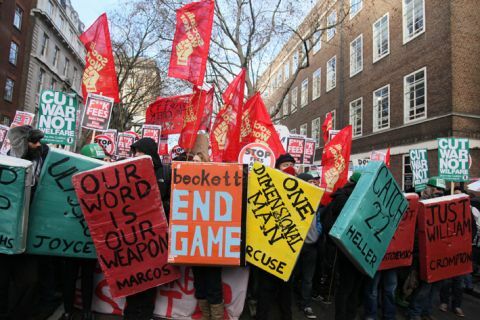 It is open to individuals and groups working at any level across voluntary activist and community-based media to those working within mainstream and academic contexts. The forum provides a space for networking, news exchange, skills sharing, discussion, debate, and building a more consolidated base for critical media in Scotland and the UK. Meetings take place every two months at various venues. Each forum provides time for meeting and exchanging news, issues, ideas, etc., followed by a dedicated skills and discussion session. 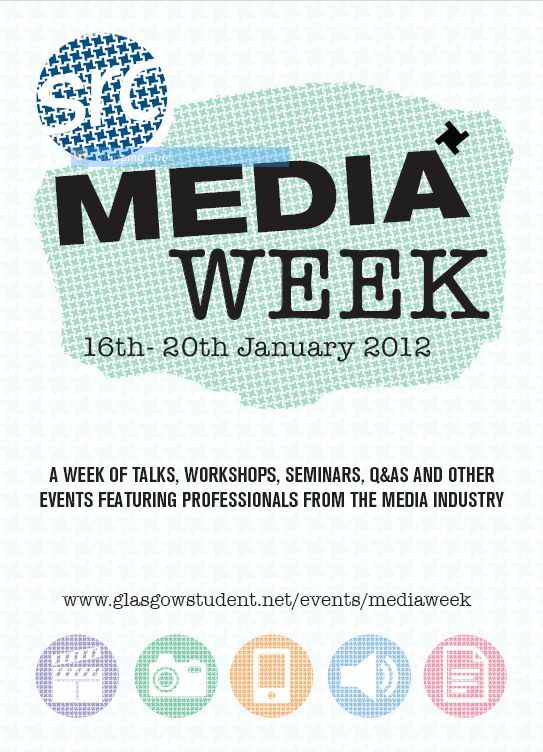 For the January 2012 meeting, film and documentary maker Barbara Orton will facilitate a practical workshop to discuss issues and practices around engaging audiences through mainstream formats and alternatives to these. The debate around mainstream access is an important one in political film-making, whether to work with it, challenge, or reject it, and it is useful to understand how such positions may determine the ways in which work is realised. Participants are invited to bring along film and video projects they are currently working on to review and discuss as part of the session. A trailer for Patrick Kiellar’s new film Robinson in Ruins can be viewed online here. There is also an interesting discussion about the film and the ideas it puts forward to be found on the BFI website here. To watch one of Kiellar’s other new films check an earlier post. 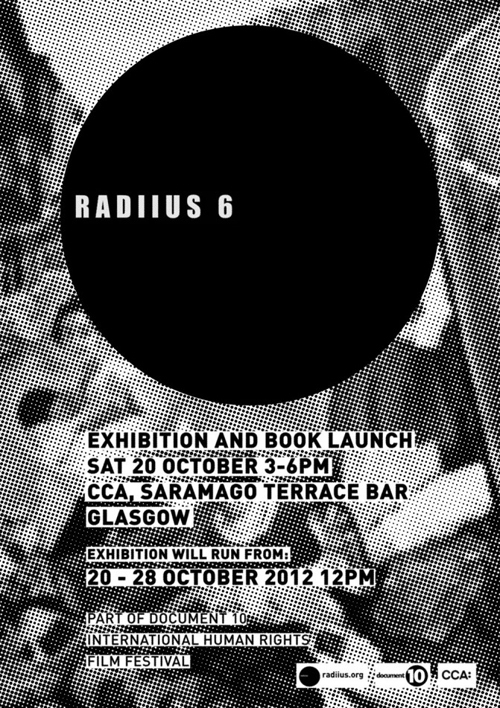 Radiius (loosely based in Glasgow) is an expanding sphere of concepts centred on the critical exploration of philosophical, political and social issues. Radiius exists out with the constrained framework of mainstream institutions by providing a global platform for people to communicate creative ideas, therefore encouraging meaningful dialogue. 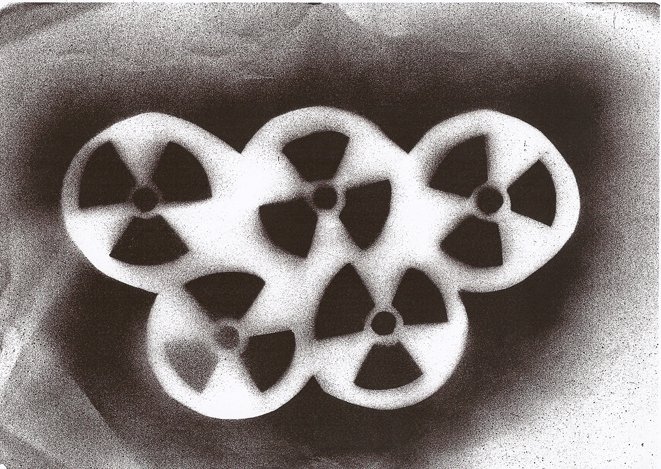 Radiius explores the undefined parameters of our collective imagination through various forms and expressions. 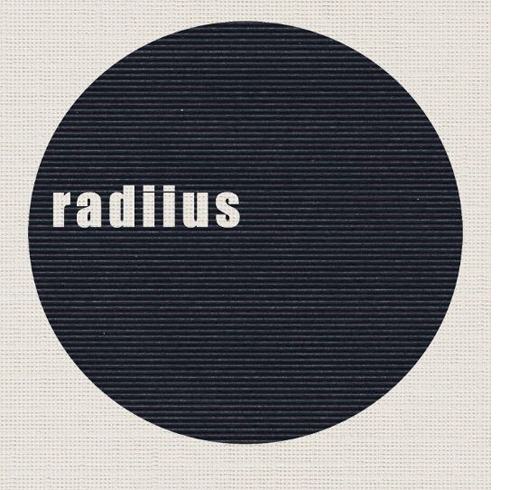 Radiius is a non-profit organisation that publishes zines for artists and writers. If you would like to get involved and submit work to us for the next issue please contact us at: radiius@radiius.org with your name, contact details and the title of your work.. For written work please send as a word document and images as high quality tiff or jpeg files. For multimedia work please send it to us either as an embed url or using dropbox service or similar. For submission of visual pieces please provide us with the dimensions and medium aswell as a short statement about your work. The meeting is free, but donations to Kinning Park Complex welcomed. independent/radical/critical/activist/rebellious/oppositional media, to discuss the development of a broader support network, archiving, collaborations, future events, and encourage debate on current directions of ‘media from below’ in the UK. A drawing resource space bringing together a number of natural history artefacts from some of Glasgow’s finest public resources into a single location. 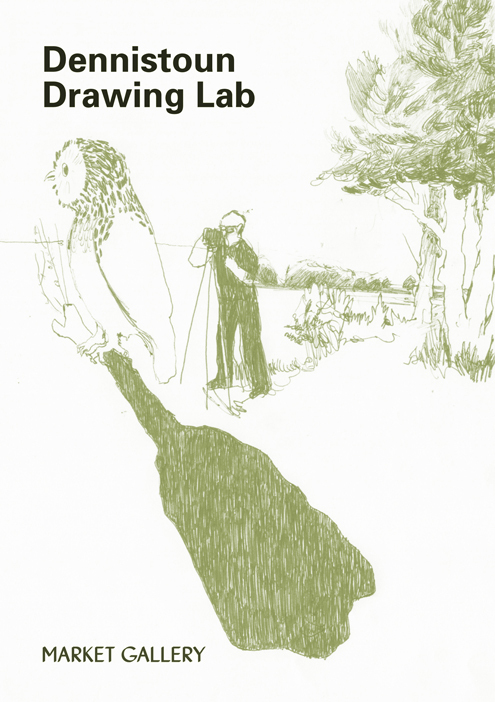 Designed and facilitated by Anna Tanner and Simon Harlow, the Lab offers a meditative space to study, develop and improve your drawing skills. There will be a series of free drawing classes and lectures available for children, young adults and adults. Blog Interlude by Helmut Smits is a blank image for blogs, meant as a moment of rest.